There’s so many people to catch up with, who have a shared history, and so many interesting and exciting things to do, that anything otherwise tends to get a miss. 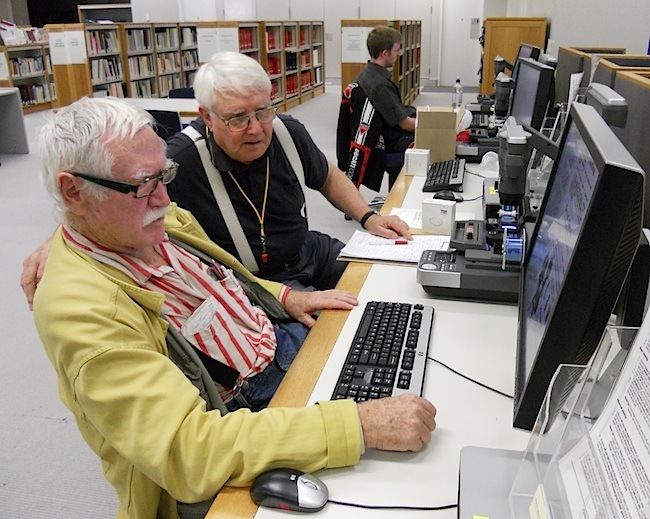 The fun occasions often involve veterans getting together to share fond memories and describe events they witnessed first hand. Mingling which mainly happens in a relaxed social setting, tends to reinvigorate the camaraderie of past decades as reminiscences are shared. 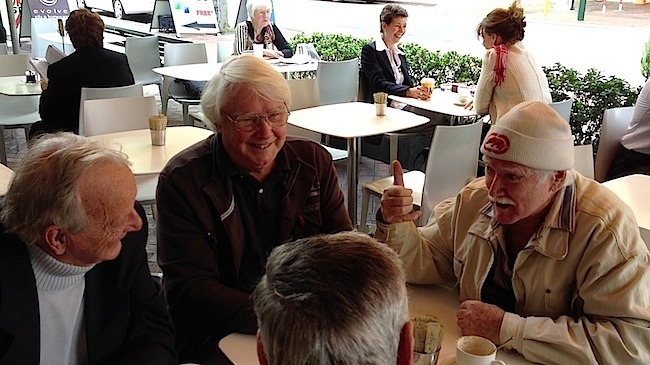 Many being riveting anecdotes, that may have seemed serious at the time, but are now full of amusement in retrospect. 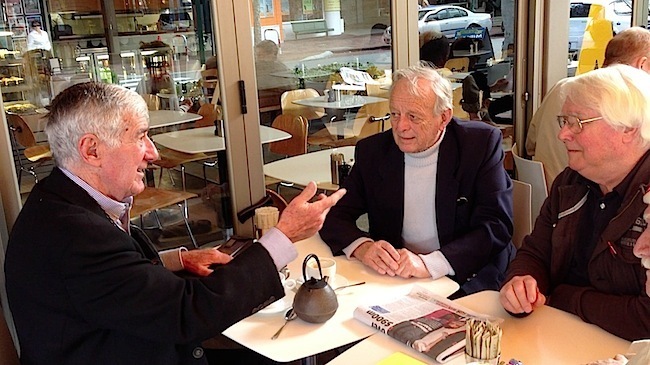 Recently, Richard and Gordon had the opportunity to meet up with news veterans Darcy Farrell and Bruce Buchanan. 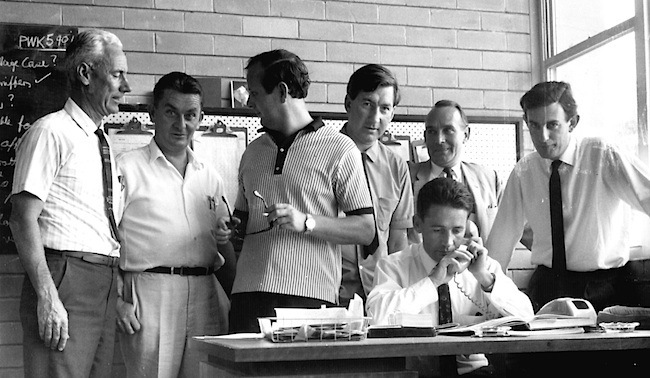 Darcy being the inaugural television news editor at TVW in 1959, and Bruce a veteran of both commercial and ABC news and current affairs. 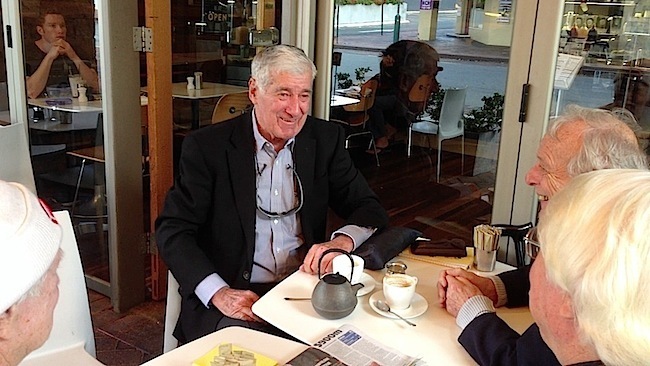 Bruce’s contributions to pioneering current affairs television coverage in Australia is a story that needs to be told in greater detail one day, for these events took place at a time of conflicting views about how the ABC should convey News. Journalists were not expected to express opinions, which made the task of political analysis difficult. In this environment, This Day Tonight (TDT) was not only hard hitting, but considered provocative and at times shocking. 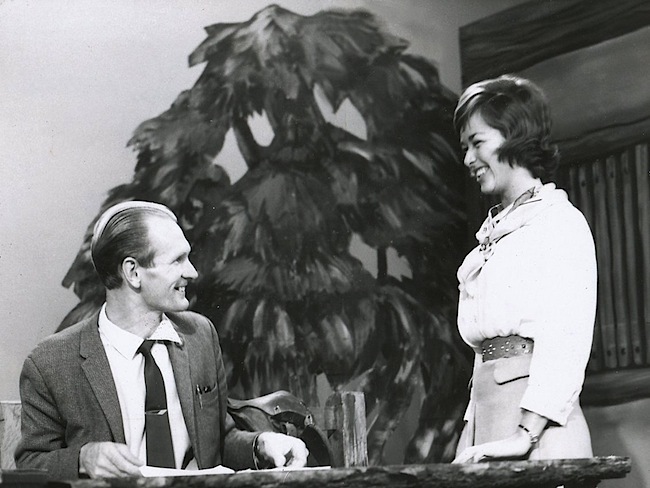 It was also considered irreverent, which ruffled many feathers in the conservative ABC, with its traditional staid reporting of the era, and a strict adherence to impartiality. 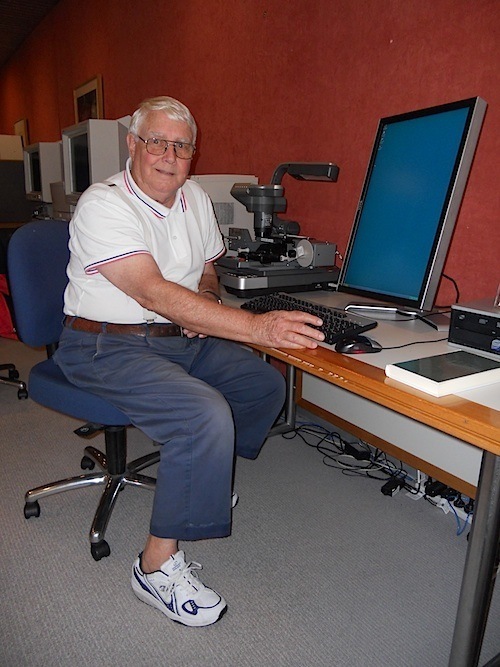 Our research team does not restrict itself to dwelling on the past, for they are keen to follow modern developments with not only technology, but techniques as well. 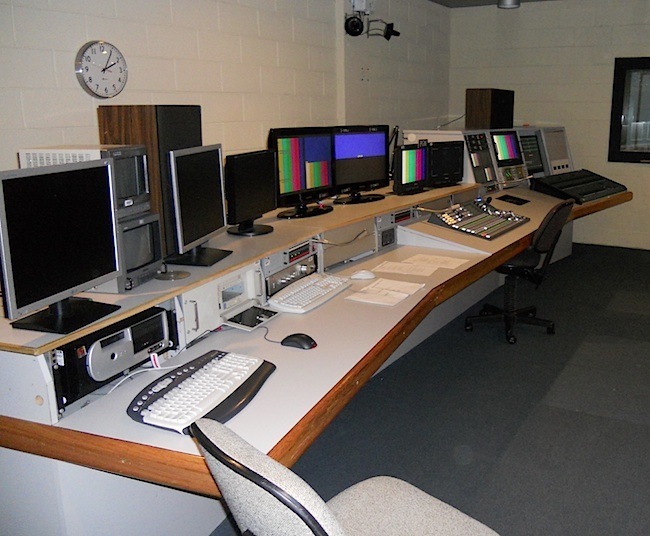 What better place to learn about this than at the teaching institutions which provide the journalistic and production skills for future generations of broadcasters. 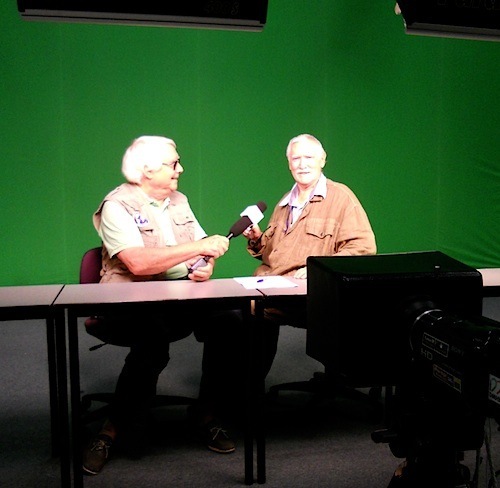 Richard and Gordon test out the presenters chairs in front of the green screen before the DHK News team prepare the latest edition of their news bulletin. 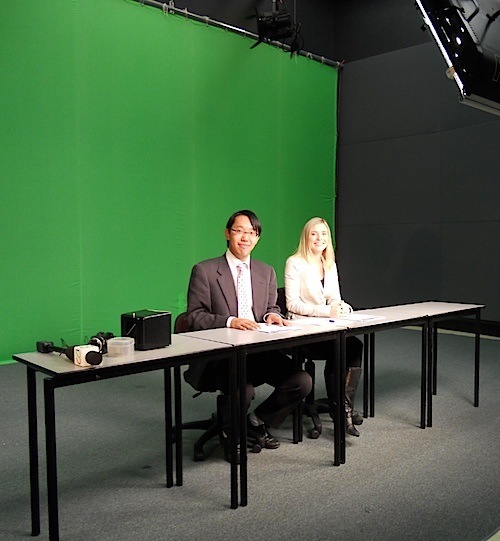 Ivan Leung and Ana Godden present the DHK News from the Murdoch University television studio in Western Australia. 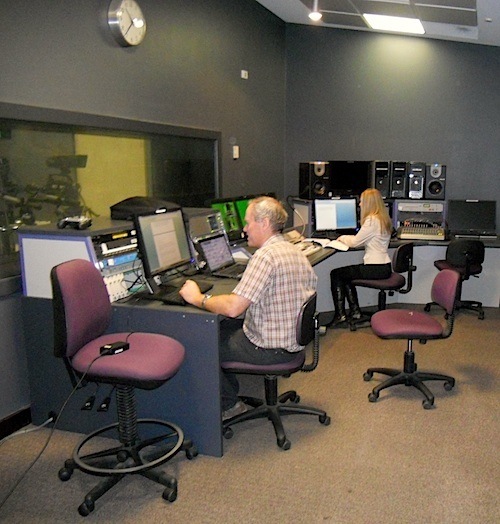 At Murdoch, student journalists are exposed to all facets of the profession, from creating newspapers or news ‘sheets’ to producing online works incorporating elements of radio (audio), television (video) and print into one independent ‘Newsroom’. 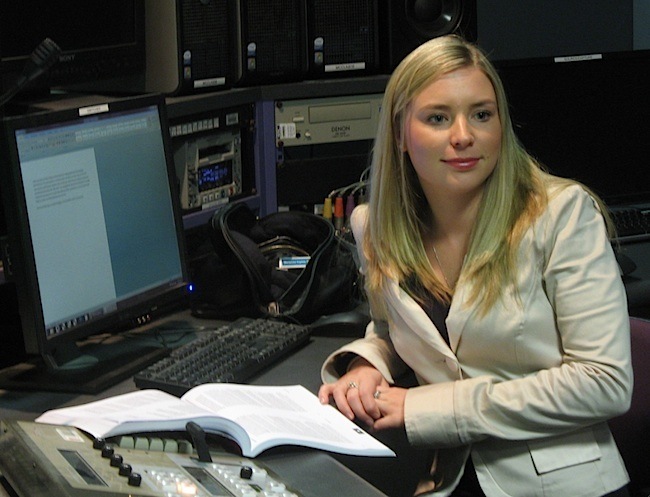 DHK News co-presenter Ana Godden also writes for the Murdoch Independent and for the Perth Rider equestrian magazine, where she participates in the sport. Ana came to Perth from the rural environment of Margaret River. Ivan has been working for Delight Media Hong Kong (DMHK) News in both the Chinese and English departments as a journalist, acting as the Chief News Anchor and Executive producer for more than four years. 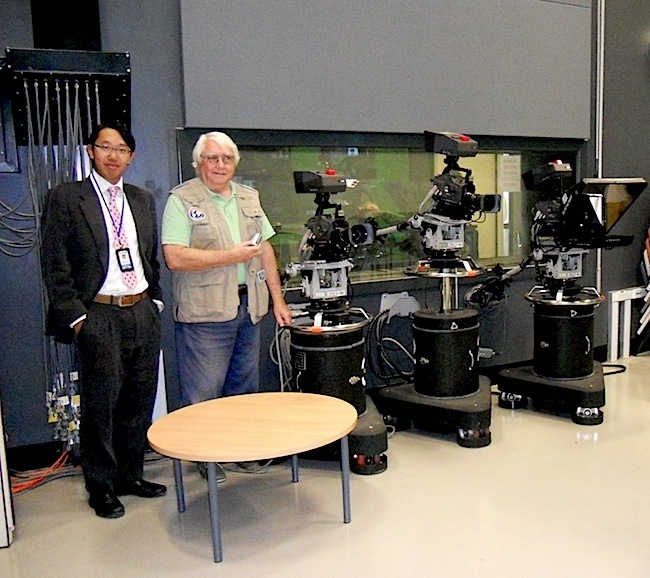 He joined DMHK in mid-2007 and was the co-anchor for DMHK’s Cantonese 6 O’clock News in Hong Kong, as a reporter, editor and camera person for the Chinese department before heading to Australia to start the DMHK English Department in 2009. 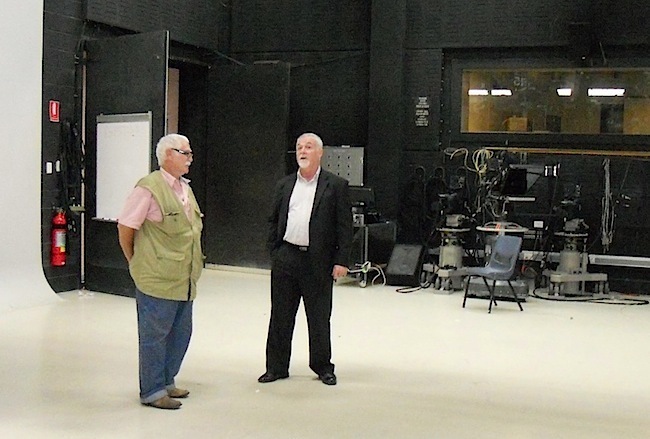 Meanwhile in Northbridge, Bill Atkinson, the learning portfolio manager at applied design within the Central Institute of Technology gave Gordon and Richard a tour of the facilities. 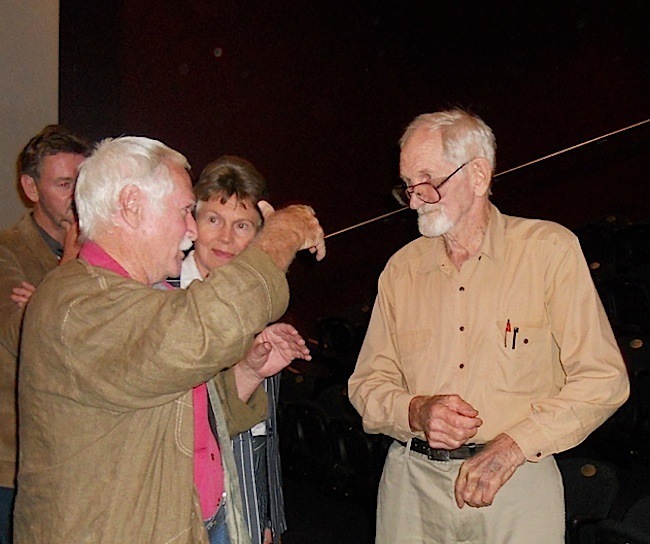 For many years, Bill was a sound engineer working for ABC Radio in Perth, dealing with a vast range of productions from the Western Australian Symphony Orchestra, to popular music, folk, rock and every other genre. 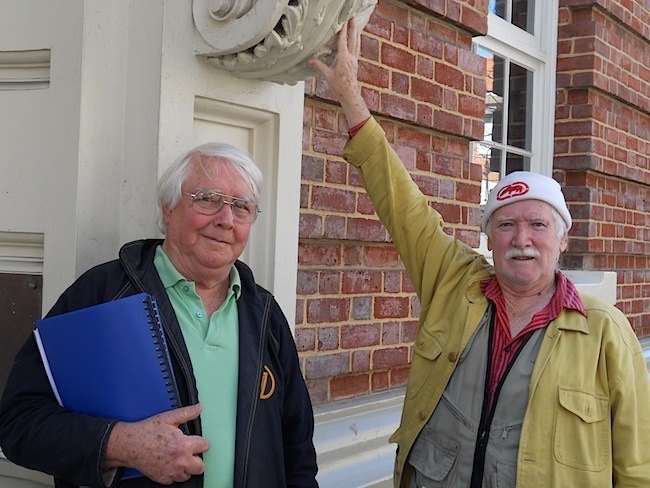 Bill is also the son of actor Gerry Atkinson who not only performed on the stage at the Playhouse but also on television, including in the Coralie Condon musical comedy “The Good Oil”. Central has five campuses. 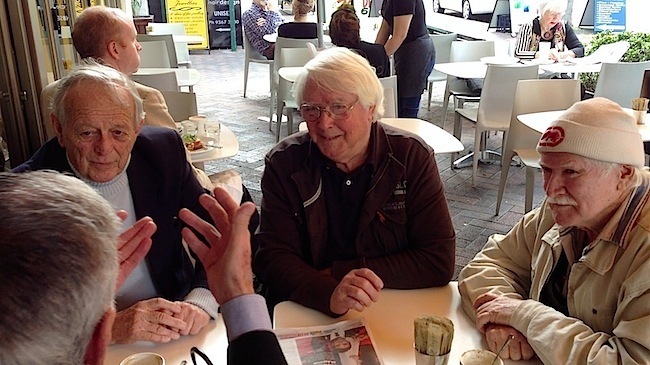 In additional to Northbridge, there’s Leederville, East Perth, Mt Lawley and Nedlands. 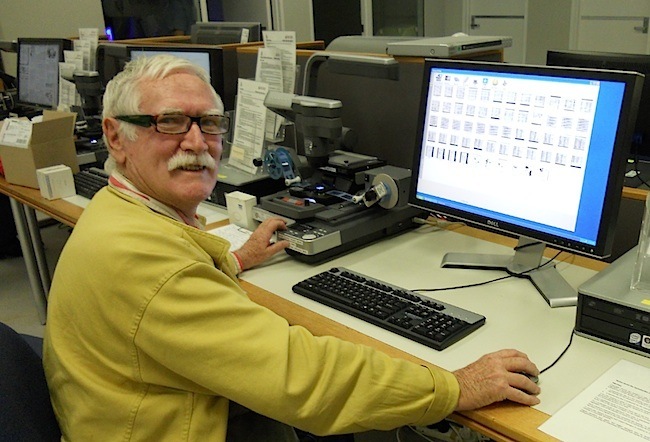 The areas our researchers visited included the media and applied design areas that contained the radio, film and television studios, and the printing, multimedia and graphic design sections of the Aberdeen Street sections of the Northbridge precinct. 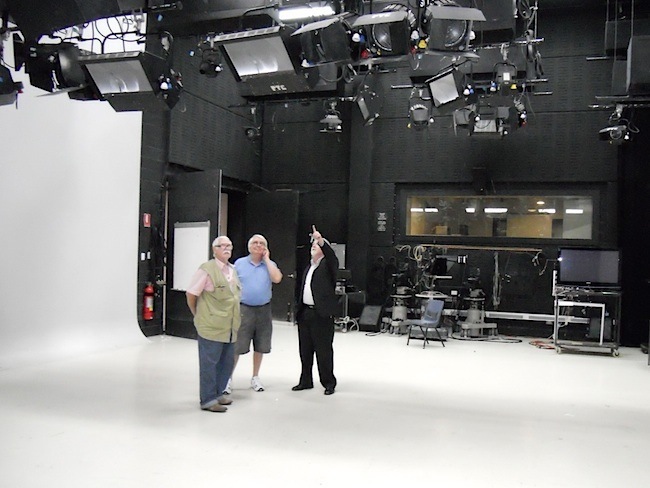 Our researchers were most impressed with the well appointed television facilities, which were larger than the first TV studio used in WA in 1959 for the opening of TVW-7. 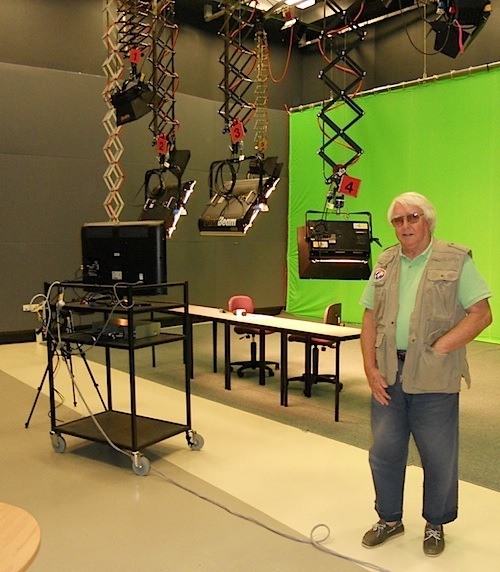 Gordon was impressed with what Bill had to offer in media training facilities, which is far in advance of what was available in Perth at the dawn of TV. 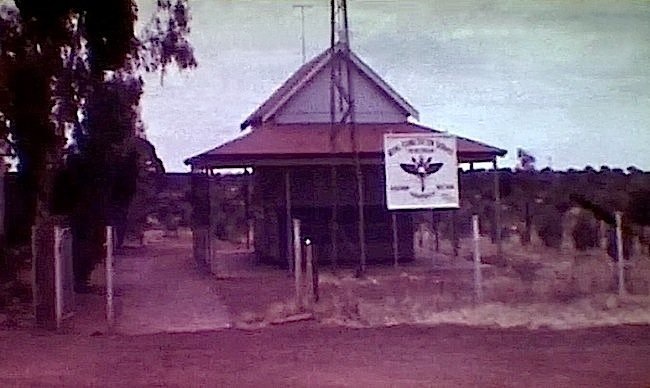 Gordon and Richard received training in Sydney and Melbourne respectively, whereas many others had to learn on the job. 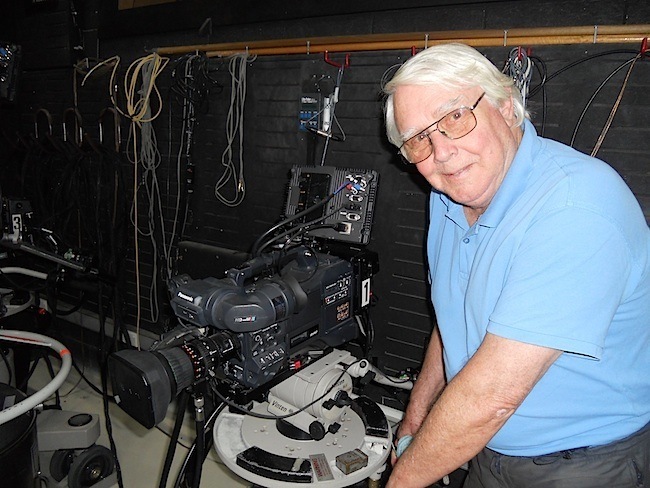 Richard inspects a modern studio camera, which is not only colour but offers higher definition than the vintage value and image orthicon black and white cameras from 1959 to 1975 in WA. 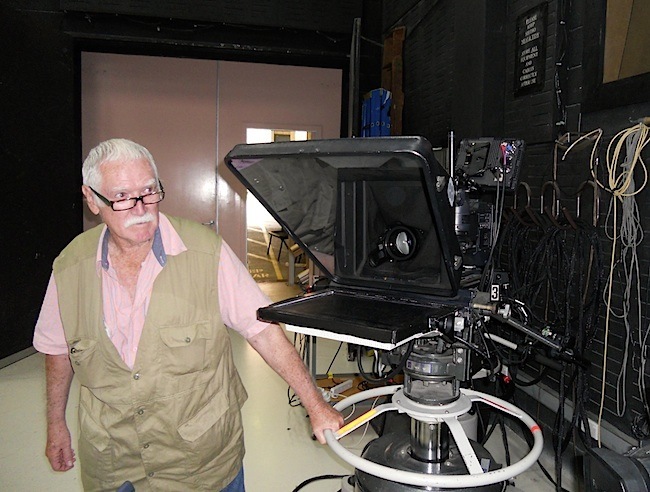 Gordon inspects the Autocue that is mounted in front of the lens of this camera. 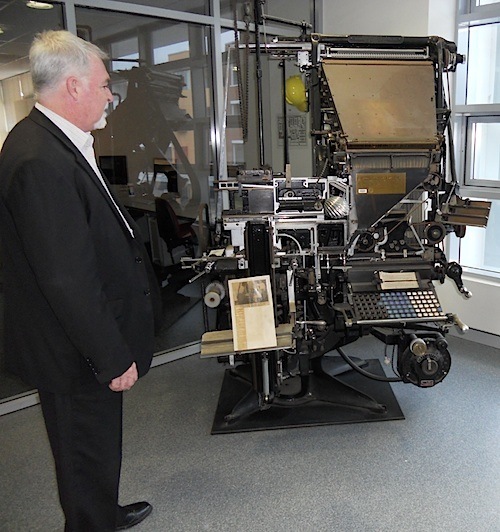 Linotype machines revolutionised the letterpress printing process by enabling an operator to type in text and have that turned into white-metal slugs in a process known as “hot metal” typesetting. Each character was represented by a bonze mould which together formed words when subjected to the molten metal, which solidified as slugs representing a column of newspaper text. 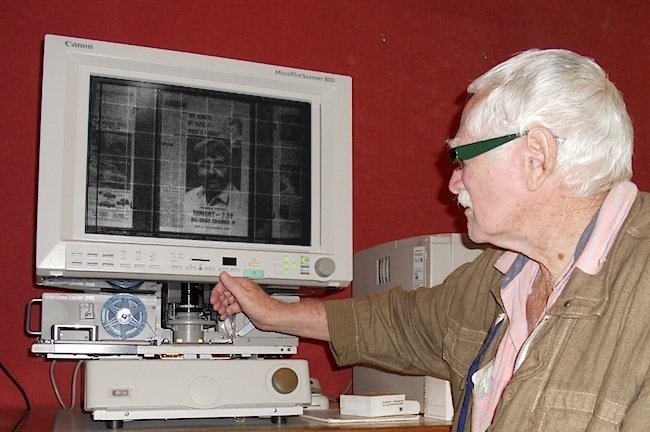 Prior to its invention in 1884, few newspapers could exceed eight pages, due to the amount of effort and time required to hand typeset each page. 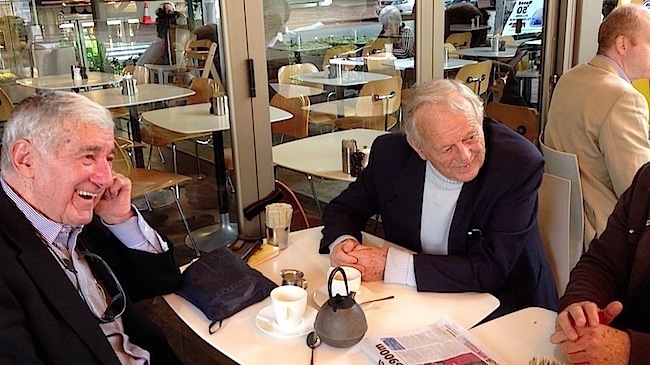 Novels were a different matter as they were not subject to the tight deadlines of newsworthy material. Though overseas news was often months old when it arrived on our shores by sailing ship. 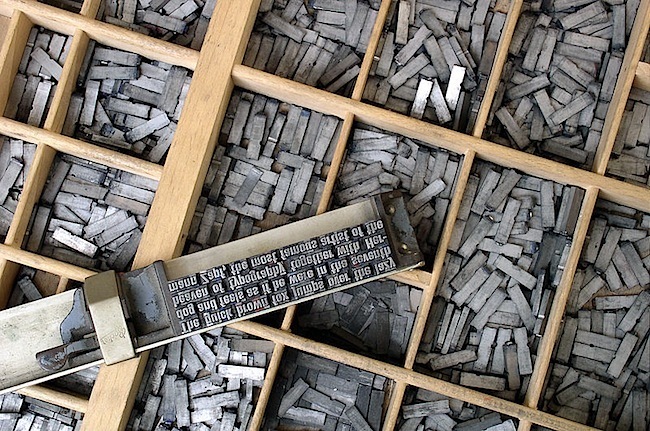 Prior to the Linotype, typesetting was achieved by using movable characters, which needed to be selected and set laboriously by hand, to compose each word and line. 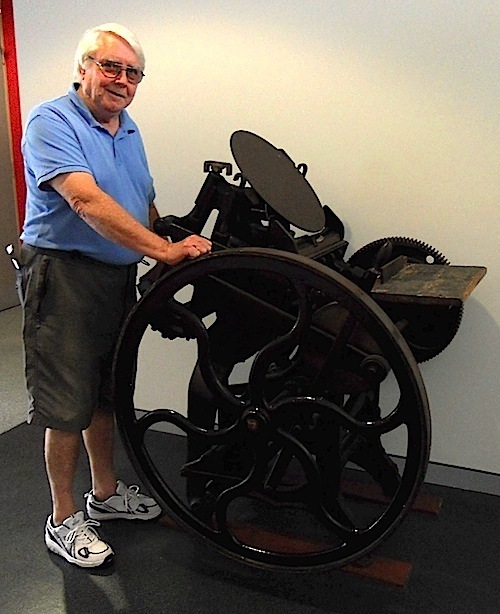 Richard was particularly interested in this facet of printing, as his great grandfather, Richard Pether, was the first officially appointed government printer in Western Australia. 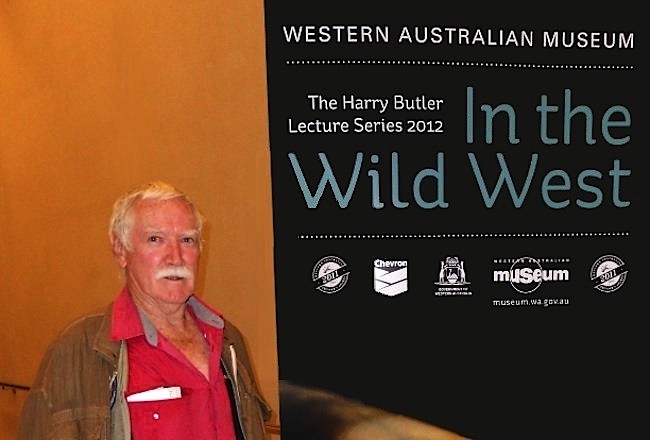 Meanwhile, Harry Butler’s 2012 lecture series for the Western Australian Museum gave Gordon McColl the opportunity to catch up with the naturalist, who had an early nature study segment on Children’s Channel Seven, before presenting “In the Wild” for the ABC between 1976 and 1981, a program produced and directed by Alan Bateman. 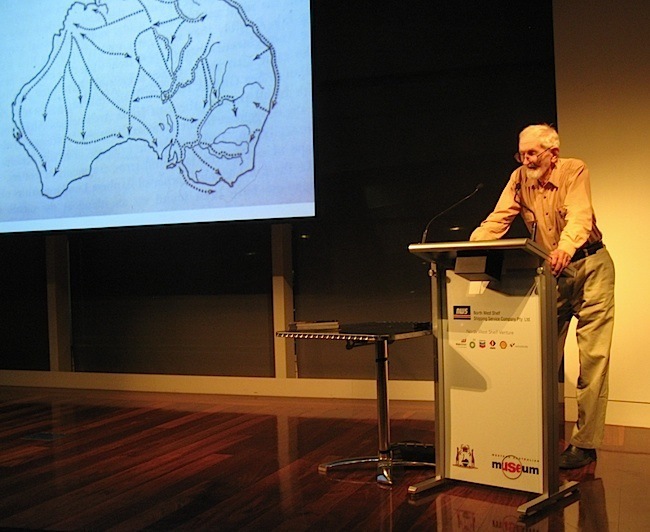 Harry Butler popularised science and natural history not only by giving talks and demonstrations at the WA Museum dating back before television, but also during the early years of black and white and colour TV. 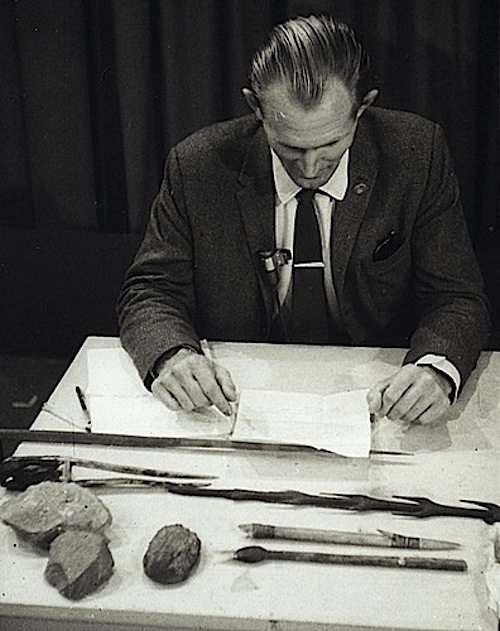 Harry attended Claremont Teachers’ College, and according to Gordon was a school inspector before concentrating on nature studies and the environment, this would require him to visit remote locations whilst fulfilling his inspector duties. 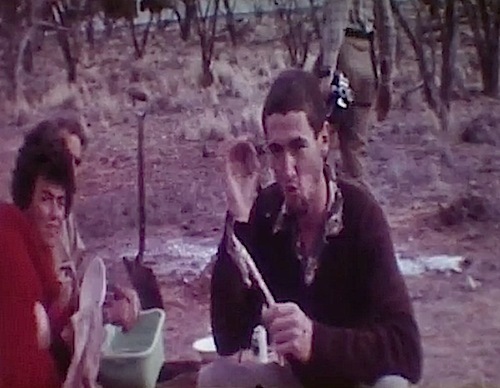 Making regular visits into the outback enabled Harry to make many friends among the indigenous communities, and was well known as the lizard man. 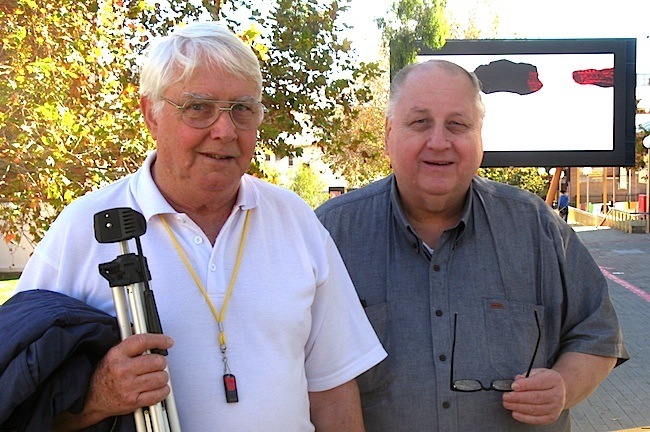 Few people know that Gordon ventured out with Harry Butler, Jim Atkinson. 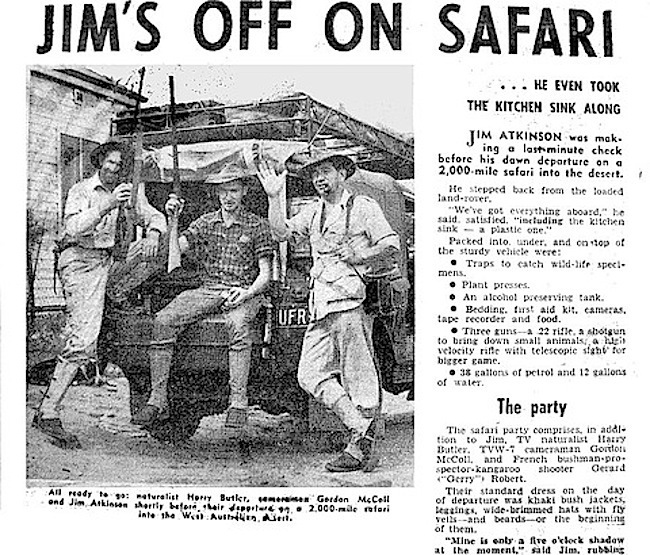 Mark De Graff, Gerry Robert and Roulien Schroeder on an expedition beyond the eastern goldfields in 1961. 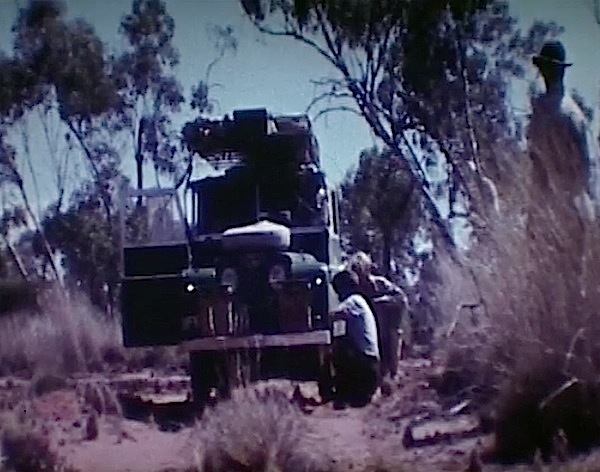 On this occasion, Gordon borrowed an 8mm movie camera and widescreen lens from Richard Ashton to film the adventure into the desolate outback. 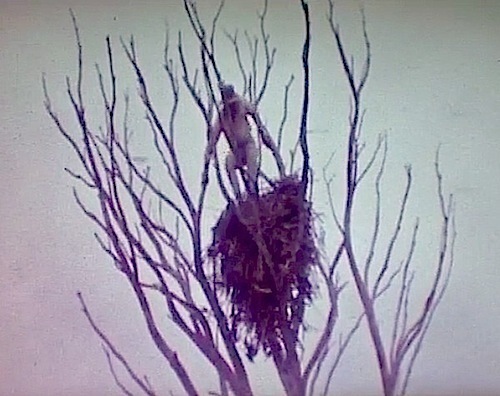 We have the footage, and once Gordon has recorded a commentary track we’ll make this 30 minute film available for viewing on the web site. 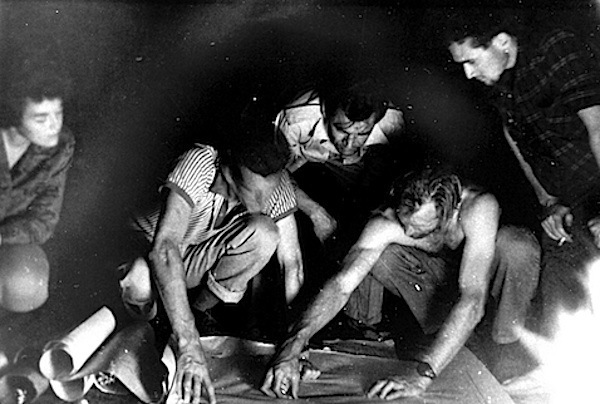 Harry Butler charts their trek on a map by the camp fire surrounded by Roulien Schroeder, Mark De Graff, Jim Atkinson and Gordon McColl. 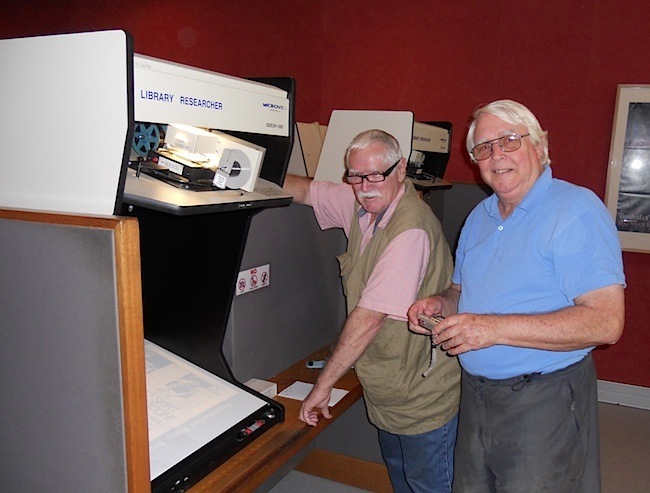 There’s so much to do and so little time… that we endeavour to make the story gathering task as much fun as possibly… and look forward to every new opportunity to garner more historical evidence of our early broadcasting heritage. I came across it by accident . A work of love by the look of it . Nice work Richard , is there more to come ? 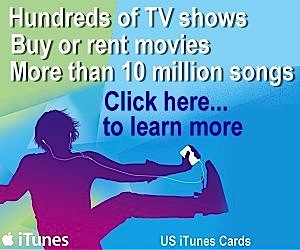 Hello Bruce this is proof that my publicity management is spreading the good word. 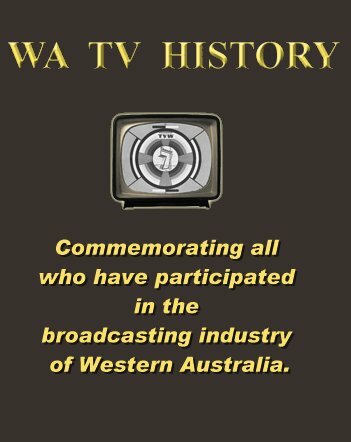 The WATVHistory is an exceptional web site to advance the knowledge that would otherwise be lost.